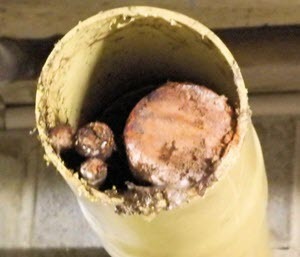 Illegal Plumbing Causes Large Insurance Claim To Be Rejected. Why? In this particular incident, the assessor was verifying with us what the property owner had claimed after a child had undertaken some experimental work with a pull out kitchen spray hose. We were able to supply the documentation he was seeking and all was well. But this is not always the case. We had a situation we had to rectify last year where the owner of a hairdressing salon broken every rule in the book and paid dearly for it when her salon was flooded. Like us all, she was extremely busy. Needing to replace her taps on the hair washing basins she did a Google search and found the perfect taps online at half the price she was expecting to pay. A week later the taps arrived with instructions on how to install them so she decided her husband could do the installation as he was a bit of a handyman. The following Sunday when the salon was shut her husband removed the faulty taps and after a few minor mishaps had the taps up and working by that evening all ready for the next days trading. The taps were a huge improvement on the old ones because they actually worked with the water mixing beautifully to the right temperature at the touch of the handle. Everyone was happy – clients, employees and owners. The salon owner and staff talked with their clients whilst doing their hair how great the new taps. A major topic of conversation was what a bargain they had been to buy online plus they had saved a fortune on employing a plumber by doing all the installation themselves. Three months after the taps were installed the salon owner got a call at home on a Saturday morning just as she was leaving for work to say there was water coming out of the front door to her salon. When she arrived at the salon the water was indeed pouring out of the door and everywhere else. Water was flowing continuously from a burst connection hose on one of the new taps. Luckily she knew where to turn the water off on the street. Unfortunately, the taps did not have individual control valves under the hot and cold connections despite it being a required installation of the taps instructions. A flooded salon meant that she had to get her staff to cancel client appointments despite it being the busiest day of the week. Instead of it being a cash flow positive trading day it became cash-flow negative with staff cleaning up the salon in conjunction with a multitude of tradesman beginning rectification. On Monday with the rectification work already underway the insurance companies assessor arrived to inspect the damage. As expected he was a model of empathy with her plight taking a number of photos of the damage to the salon. The Salon owner showed the assessor the faulty tap which he checked over and agreed it was indeed the cause of her flooded salon. The assessor then asked her where she had brought the mixer taps and who was the plumber who installed them. Proudly she explained how she had saved a fortune purchasing the taps online and that her husband had installed them so they had saved the cost of the plumber as well. She also told the assessor she had emailed the online store where she had purchased them as they had no phone number demanding that they supply a replacement tap. 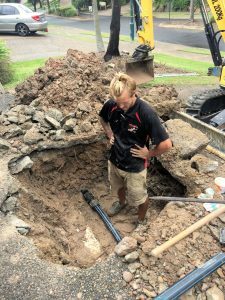 the said taps were installed by a non-licensed person with no compliant contractor registration in contravention of the Plumbing and Drainage Act 2002 and Queensland Building Services Authority Act 1991. So the bargain taps and the do it yourself plumbing installation turned into a financial nightmare for the salon owner. 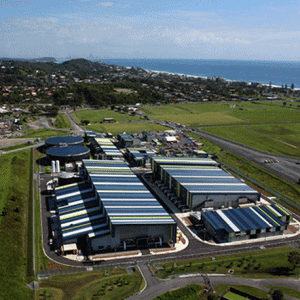 The repairs and rectification cost in excess of $30000. In addition, there was the loss of eight days trading plus the loss of clients who went and found a new salon. You get what you pay for is an old cliche but with plumbing its definitely true. If the salon owner had complied with the law and done what she ultimately had to do, in employing a licensed plumber to install compliant mixer taps with individual control valves at the connection point she would have had not a single problem. 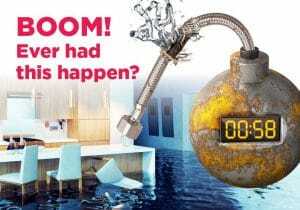 Even if she had still had a burst connector flexihose to the tap her insurance coverage would have covered all of her costs as would have the public liability insurance policy of the plumber. ensure you get a copy of the Queensland Governments, Queensland Building and Construction Commission (QBCC) Form 4 compliance certificate that the plumber must lodge and pay the $29.70 fee. If you do all of the above you will never have a problem with an insurance claim being rejected because you have a paper trail for the assessor to follow. 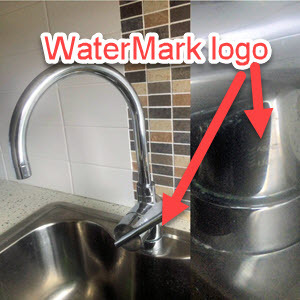 And I’m sure you will be surprised but our salon owner never received a new tap or any reply from the online store. Tree roots in a stormwater drain causing localised flooding is an issue confronted by many homeowners, particularly during our summer storms. So imagine the issues faced when the tallest commercial office building on the Gold Coast at 118m tall and with 27 floors above ground and 5 levels of basement parking gets roots in their drains. 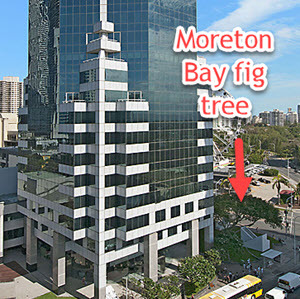 Well, this scenario is exactly what has occurred at the Gold Coast’s premier office building, GDI Property Group’s “50 Cavill Avenue” in the heart of Surfers Paradise on the corner of Cavill Avenue and Beach Road. As you can see in the photo on the right, 50 Cavill Avenue is indeed a prestigious office building with a great street appearance. Part of that appearance is a magnificent fig tree in a grassed area on the very corner of the property at the Beach Road entrance. The tree can be seen on the bottom right of the photo. Unfortunately, over the years since being transplanted onto the site, the tree roots of this beautiful tree had slowly but surely gained access to 50 Cavill Avenues main stormwater drainage system. Stormwater drains are a critical part of any building and are designed to comply with AS 3500.3:2015 to ensure that the materials used, the design, installation and testing of roof drainage systems, surface drainage systems and subsoil drainage systems will always work. Unfortunately, as we frequently witness the stormwater drains are installed not in accordance with the designs causing flooding. This is in the main due to the fact that stormwater drains are inspected and certified by private building certifiers, rather than council plumbing inspectors which in our experience frequently means they are never inspected to ensure they are compliant. Every summer after our storms and heavy rainfall events we see the consequences of poorly designed, poorly installed and poorly maintained stormwater drains. As you can see from the photos above and below on the left the tree roots infiltration at 50 Cavill Avenue is extensive inside these 100mm stormwater drains. The tree roots in these photos are more than 30m away from the fig tree and are perfectly formed plus being incredibly strong requiring power saws to cut through them. The process to rectify these drains at 50 Cavill Avenue is extremely complex as we have had to hydro excavate extensive areas of grass and soil to locate where the tree roots are entering the stormwater drainage system. 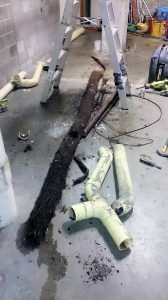 The photo on the right shows a 6m length of tree roots lying on the concrete floor that we removed that were completely encompassing the entire interior of a 100mm pipe. We are all aware we have had plenty of rain this summer and that stormwater drains have been tested to the limit. But you should never be complacent where your stormwater drains are concerned if you have trees on your property. Infiltration by tree roots similar to what has happened at 50 Cavill Avenue will slowly sneak up on you. Overflowing, slow draining or gurgling drains are your warning signs. They should never ever be ignored as they seldom go away and should be investigated immediately. 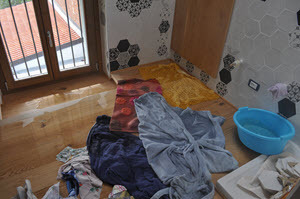 A combination of disposable wipes, paper towels and toilet paper blocking a drain because they were unable to break down in water. Plumbing urban myths abound these days with social media and media sensationalism. For the plumbing technicians at Whywait it’s frequently hard to get clients to understand factual information because they have Googled their problem and found what is, in reality, a plumbing urban myth that seems to fit. Myth – disposable baby, kitchen or bathroom wipes and paper towels can be flushed down a toilet. 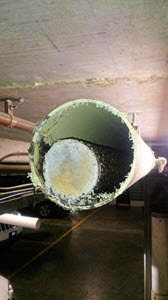 Fact – The photo above is a pipe full of disposable wipes, paper towels and toilet paper that shows they don’t break down and degrade like toilet paper but pile up inside the drain and block your entire sewer drainage system. Myth – loud banging noises in a hot water service are a warning sign that it is about to burst and leak. Fact – unfortunately, there are no real warning signs that a hot water service is about to start leaking. If you do hear banging or rumbling noises coming from the actual storage tank it indicates that the loose minerals in the sediment in the bottom of the tank are causing air bubbles during the heating cycle and that in reality, your hot water service needs a 5 yearly service that includes flushing the tank of sediment. Myth – Thomas Crapper invented the toilet. Fact – No he did not invent it but made it work better with the flushing mechanism. Myth – Water flushes in a toilet clockwise in Australia in the southern hemisphere but anti-clockwise in Germany in the northern hemisphere. Fact – No the actual design of the toilet bowl dictates which direction water flushes as such a small amount of water is not affected by the Coriolis Effect. Myths are often fun but the reality is plumbing urban myths can be dangerous if taken as factual which is why plumbing problems should always be diagnosed and repaired by a licensed plumbing contractor.